GreekYearbook offers an exclusive product line that will look amazing on your walls. 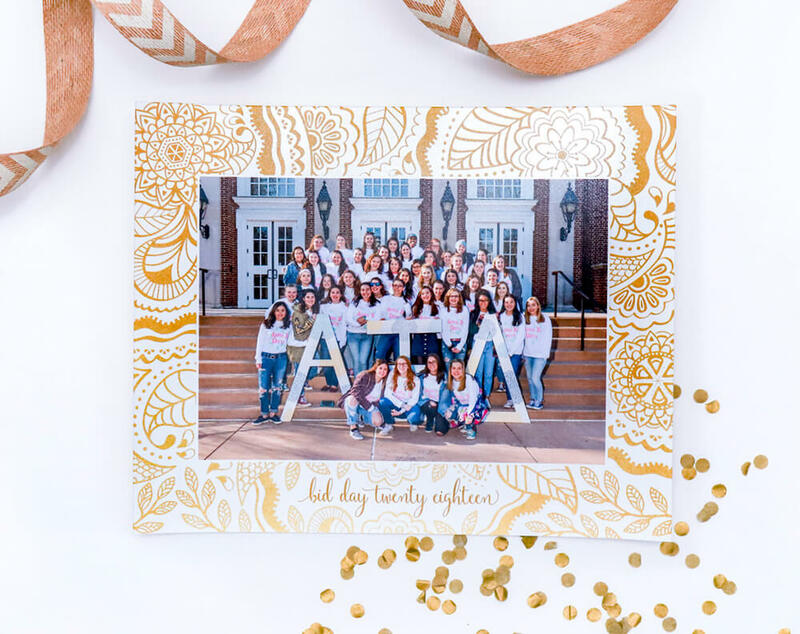 Product options include the best photos from your Bid Day, illustrated borders, and your chapter’s crest and lettering. Some products feature multiple photos so you get more value out of your purchase. Some are fun and decorative, while others have a more classic look. 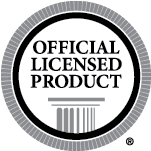 We love providing products that fit everyone’s style. Beautiful professional photo prints with your chapter crest and lettering. Your chapter photo within a hand illustrated floral border. Your chapter and class formal photos. Traditional and classic. Your chapter formal photo as well as your class formal and fun photos! Whoopi Goldberg’s favorite. Features your chapter formal and fun photos. 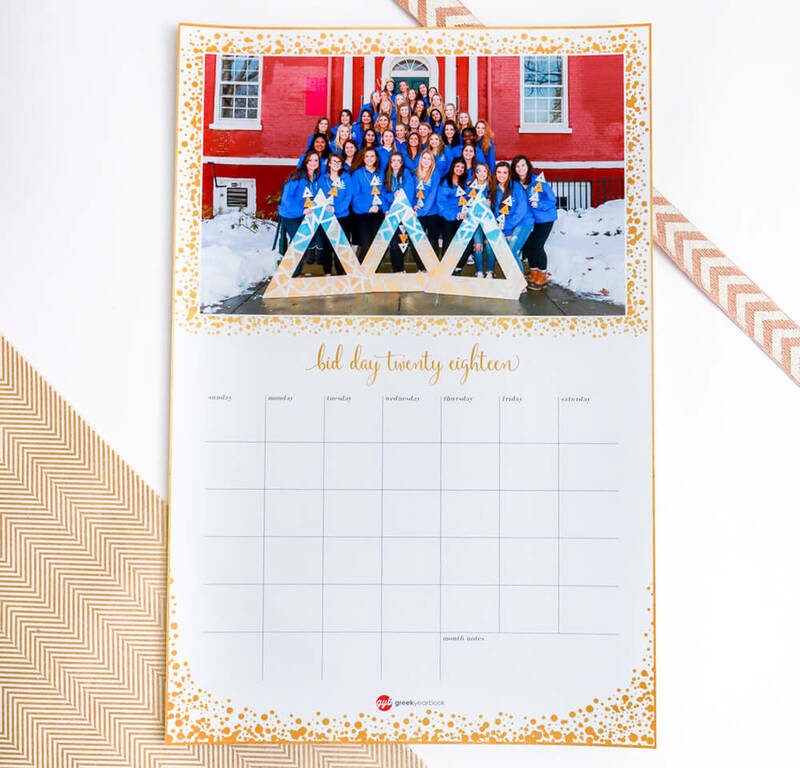 Chapter formal photo on a decorative dry-erase calendar. Photography: We start off with a group photo of the entire chapter. For each photo we take we do a formal/serious pose and then a fun/crazy pose. After shooting the chapter photo we will continue by taking a photo of each pledge class or year. 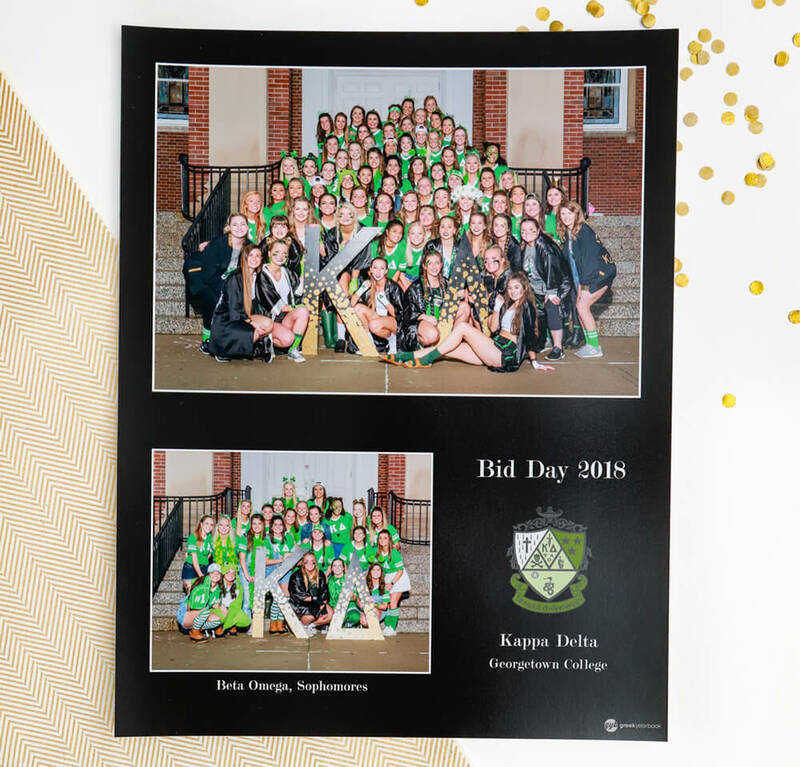 Our photographers are seasoned professionals who photograph bid day all year round and will make the photo taking process fun and easy for your members. 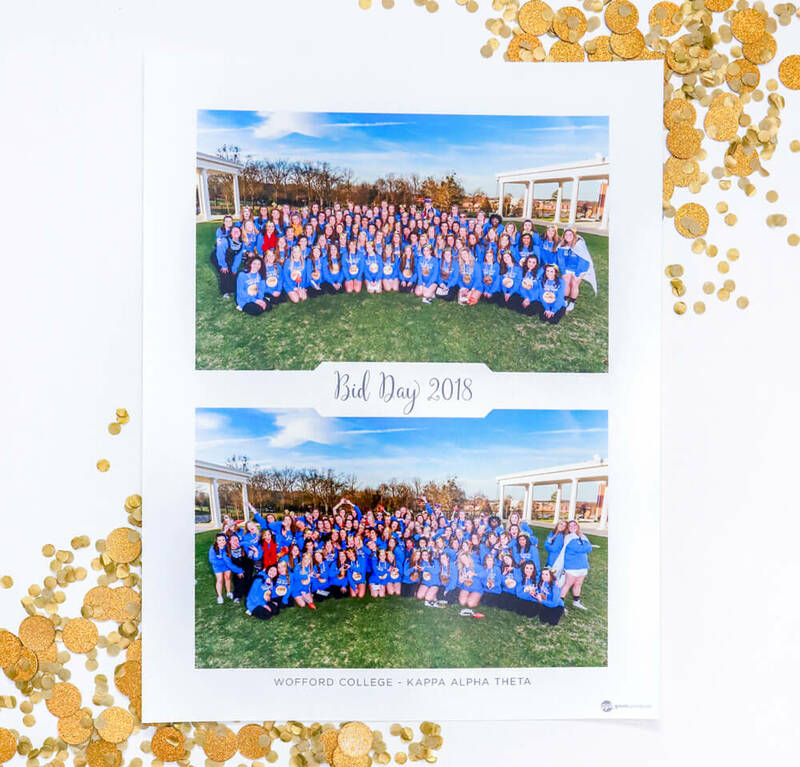 Scheduling: Scheduling is easy with GreekYearbook bid day photography services! GreekYearbook has a network of over 200 photographers and is available to every school in both the United States and Canada. 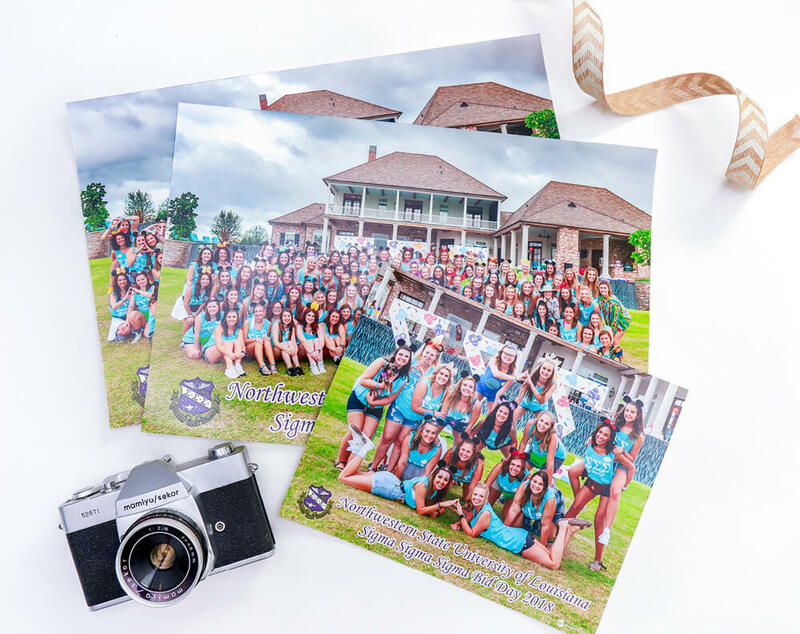 Once your chapter or Panhellenic council sends in a contract, we will then book a team of our professional photographers to come out to you on bid day. We know how hectic this day can be and our professionals will work hard to ensure things go smoothly and quickly. You will work directly with our scheduling team who will make sure to meet all of your needs. Ordering: All members will be able to order on bid day. We do not collect any money on bid day to make the process go smoother and quicker. After the shoot, the chapter will be billed for the photos ordered. Once we receive payment all photos will be sent out to the chapter. All photos are priced at competitive pricing and we have a variety of packages available. Free Professional Photographers: Our Bid Day service is completely free! Your chapter will receive a free photo shoot with one of our professional photographers at a time of your choice on Bid Day. No minimum order is required! 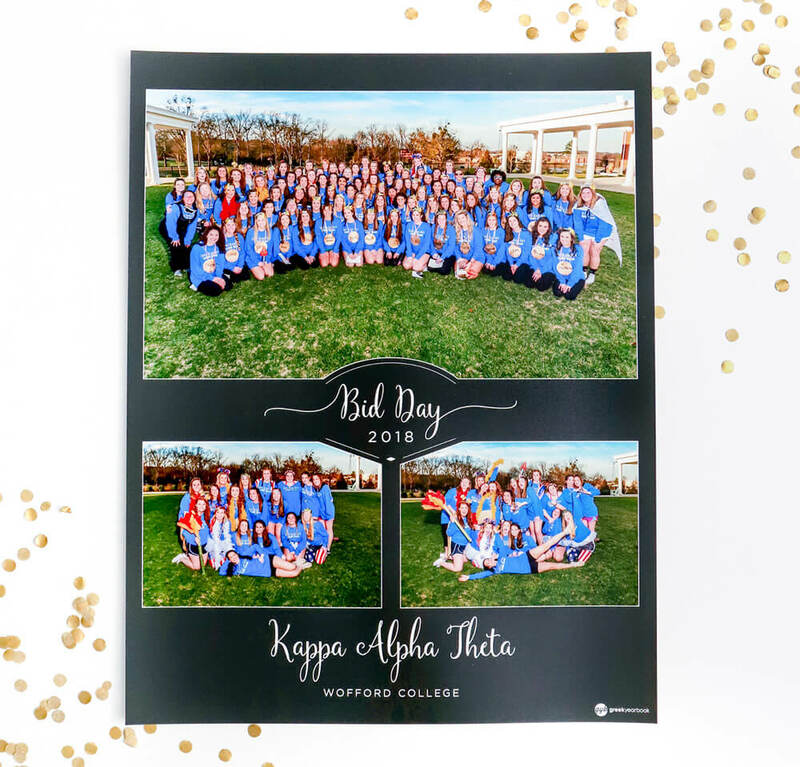 Customer Satisfaction: Close to 96% of our Bid Day clients’ surveyed say that GreekYearbook when compared to other Bid Day companies is “extremely easy to use” and/or they were “happy” with the outcome.